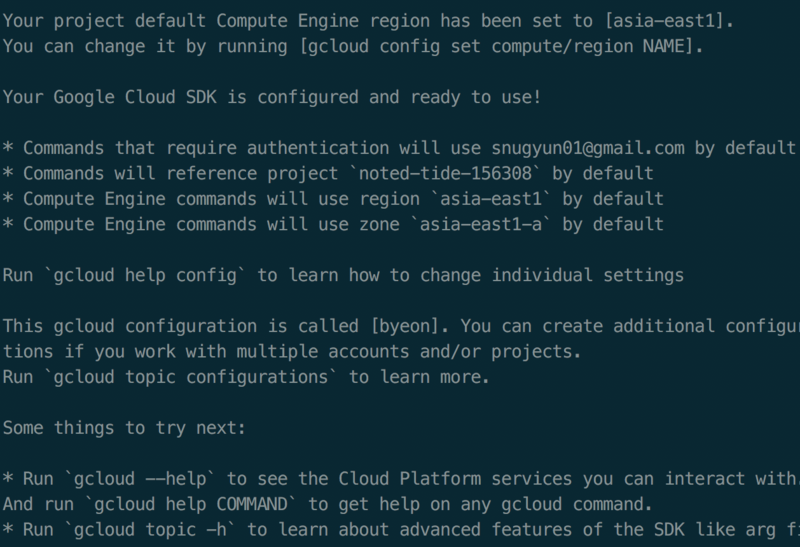 Google Cloud SDK인 gcloud 설치하기! 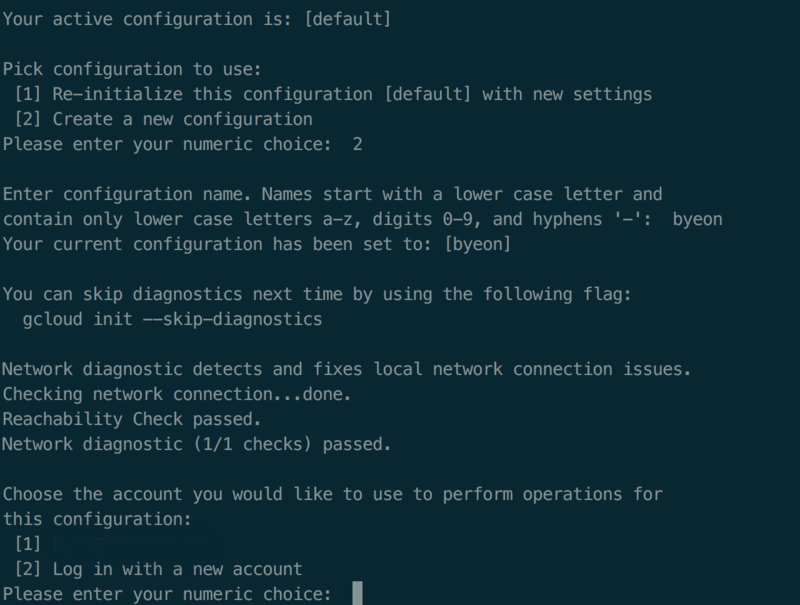 해당 명령어를 입력하면 config 내용들이 나옵니다! 그 이후 Choose the account you would like to use to perform operations for this configurations: 이란 내용이 나옵니다. 그 이후 region 설정을 하게 됩니다. 이제 gcloud 설정은 모두 끝났고, gcloud 계정 전환하는 방법을 알려드리겠습니다!